There are reasons to be positive. Let’s be frank. For those of us who care about deforestation, the last few years have not been good. The latest data tells us we’re losing more tropical tree cover than ever before. The biggest culprit is still commodity agriculture. This is exactly what we, in the Tropical Forest Alliance, are working to deter. What was I thinking? Taking the helm at a time when we seem destined to fall short of our founding principle? Tying myself to a target that is so short-term it surely will scare off new partners? Yes, the lagging indicators (which tell us what has happened) give real cause for concern. But the leading indicators (which point to what could happen) paint a brighter picture. And we know what more needs to be done to catalyze action and accelerate progress. Never underestimate the power of market forces or the influence we have on them. I see an unstoppable movement toward sustainability. People demand it. Governments respond with new regulations. Markets respond by insisting on verified products. And pockets of bad practice progressively are squeezed out. Yes, it’s a painfully slow process, but momentum is building. Many more players are signaling that deforestation must be removed from supply chains. In this regard, 2018 was an adrenalizing year. "The Cerrado Manifesto from Brazil enables continued agricultural production in one of the world’s most productive landscapes while also seeking to protect important biodiversity." One example among many is the Cerrado Manifesto from Brazil, which enables continued agricultural production in one of the world’s most productive landscapes while also seeking to protect important biodiversity. In 2018 the number of signatories for itsStatement of Support leapt beyond 70 global brands. Meanwhile, government-backed initiatives such as the Amsterdam Declaration grew in strength and the European Union announced its long-awaited roadmap to reduce deforestation. As a producer, logic demands that you take note. If you can demonstrate your sustainability credentials, you can access any market in the world. If you can’t, your options become ever more limited. For 2019, the TFA will work to encourage more members of the CGF to commit and strengthen action seeing beyond 2020; and crucially we will broaden our attention to key players in the emerging economies. China alone accounts for 62 percent of the world’s soy imports, 32 percent of pulp and paper and 11 percent of palm oil. As its economy prepares for the 2020 United Nations Biodiversity Summit, we have a great opportunity to increase engagement — which could make the signals deafeningly loud. With improvements in monitoring comes greater transparency. You more easily can identify deforestation in supply chains. As a consequence, the pressure mounts for companies to report on their performance. Again, we see real momentum. One of 2018’s most significant announcements came from Wilmar, Asia’s leading agribusiness group, which committed to transparency across its entire supply chain (PDF). Meanwhile, the Roundtable on Sustainable Palm Oil (RSPO), which unites 4,000 organizations globally, agreed a new certification standard to help distinguish the good from the bad. For 2019, a priority is to build on this progress by supporting more robust monitoring tools which bring more certainty and granularity to better understand where commodities are still driving conversion. Their availability, in turn, will bring more pressure on more players to report on their performance — and provide more access to their data. Increasingly, companies are looking beyond their immediate supply chains and thinking about how they can contribute to the wider economic viability of farming and the rural economy. Related announcements from Unilever and Walmart, and also from the global agribusiness group Olam, were two highlights from 2018. We need more positive examples that showcase how production and protection can work hand in hand in tropical forest landscapes. It would be naïve to overlook the role financing plays in agricultural decision-making. Farmers routinely seek third-party finance to fund their next crop, and the related credit terms generally determine what they grow — and how. "As finance ministries in tropical countries come to appreciate the true economic potential of a well-managed agricultural and forest sector, we expect more innovative schemes to emerge." In the past we have seen plenty of small-scale, short-term finance initiatives directed at sustainable farming methods. But in 2018, we saw the emergence of larger-scale, longer-term schemes, including one fromBunge and Santander in Brazil, which incentivizes sustainable soybean production. For 2019, we aim to catalyze the creation of more green finance mechanisms. For example, as finance ministries in tropical countries come to appreciate the true economic potential of a well-managed agricultural and forest sector, we expect more innovative schemes to emerge. And, as funds finally start to flow under REDD+ schemes, there is definite potential for mechanisms that incorporate carbon finance. In 2018, the tenor of the debate changed. 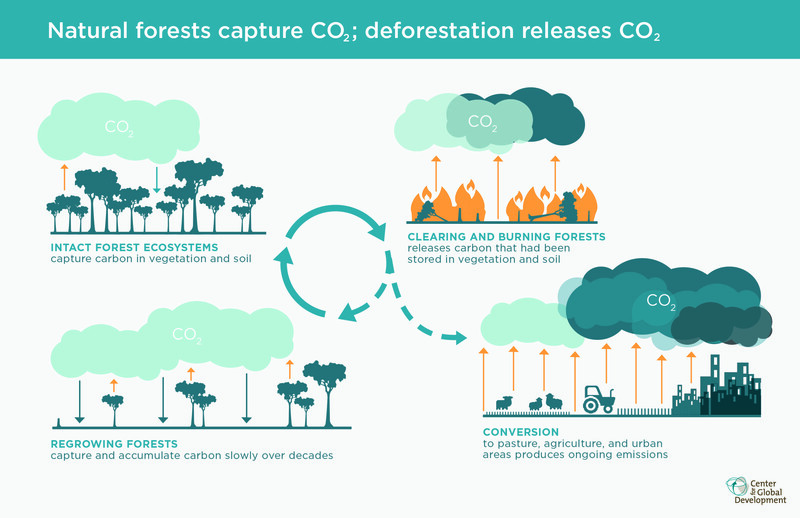 For example, the IPCC 1.5 C Special Report made it clear that, to address climate change, more forests must be protected and restored. Forests also house more than 80 percent of the world’s terrestrial biodiversity so are front and center of the renewed global effort for a New Deal for Nature and People. For 2019, we all need to push forests and deforestation to the very center of the climate, biodiversity and food debates. Despite my optimism, I know we will fall short of the 2020 target. Given everything we have learned and the progress we are seeing, I am convinced the trajectory can be bent. When that happens, even more pressure will be placed on the many laggards in our community, and more encouragement will be handed to the pace-setters. We will then enter a scenario when, instead of simply putting an end to deforestation, we have a chance to improve and restore many of our degraded landscapes. This article is published in collaboration with GreenBiz.